The Orion XX12g ready for action. All images: Steve Ringwood. 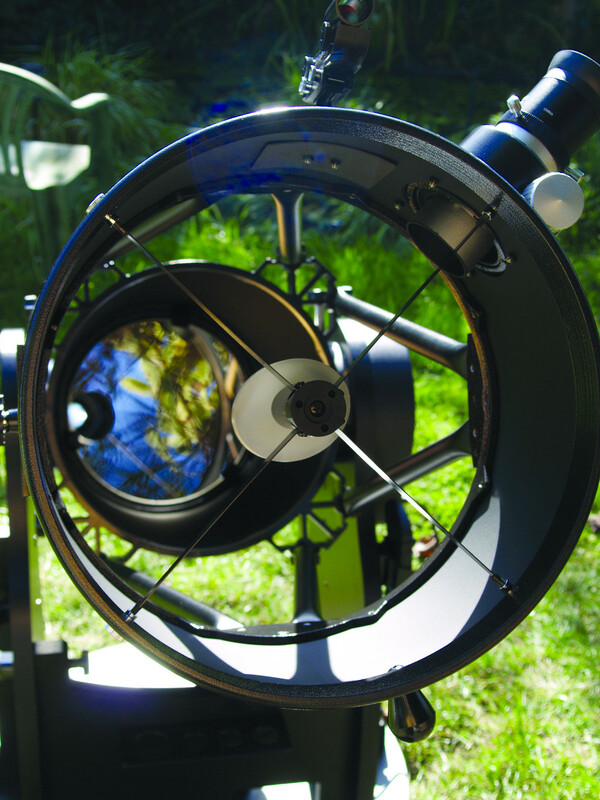 John Dobson’s eponymous revolution inspired vast numbers of amateur telescope makers to construct hitherto unrealistically large aperture reflectors – an elegant simplicity since taken up by commercial manufacturers. Seizing the chance to find out how far Dobson’s concept has come, The Widescreen Centre gave me a SkyQuest XX12g to play with. This is a fairly conventional truss-tubed Dobsonian, but fired with GOTO. 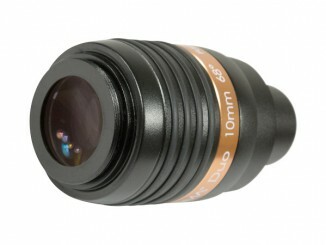 It comes supplied with a 28mm ‘Deepview’ eyepiece plus a 12.5mm illuminated Plössl. The latter assists in setting up the red dot ‘EZ finder’ – although this could well do with a larger optical companion on this 305mm (twelve-inch) leviathan. The ‘box’ section mount and the optical tube assembly (OTA) came delivered in three large boxes. It went together easily, probably taking about an hour. I was very impressed at how rigid the wood-based mount became when all of the locking threads were tightened. The same goes for the OTA; its two rolled steel cylinders (‘head’ and mirror assemblies) were locked in place by the truss poles as stiffly as a solid tube. Designed to be easily disassembled, it is portable and ‘small car’ friendly. The truss-bearing bolt that fixes the OTA to the altitude drive. This is just aching to be lost on a dark night. The large truss-tube bearings are guided neatly into the base’s altitude drive, with the two firmly mated by a long threaded locking pin. This ‘linchpin’ seems eminently losable and I strongly urge the designers to instead install an integrated locking mechanism, or the spares department will be inundated. With the tube installed, the whole assembly has a turning circle of just under two metres. 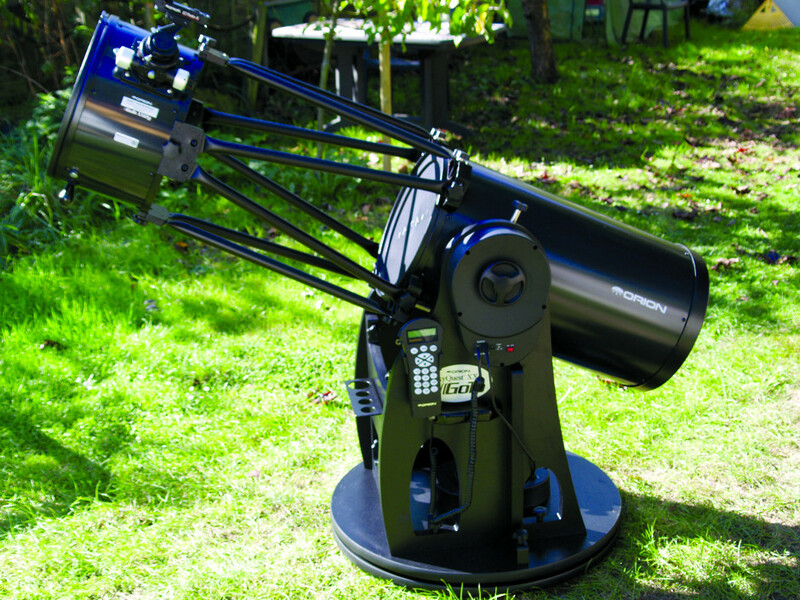 With adjustable tension in both axes, motion of the telescope is smooth, but goes firmly nowhere when unhanded. 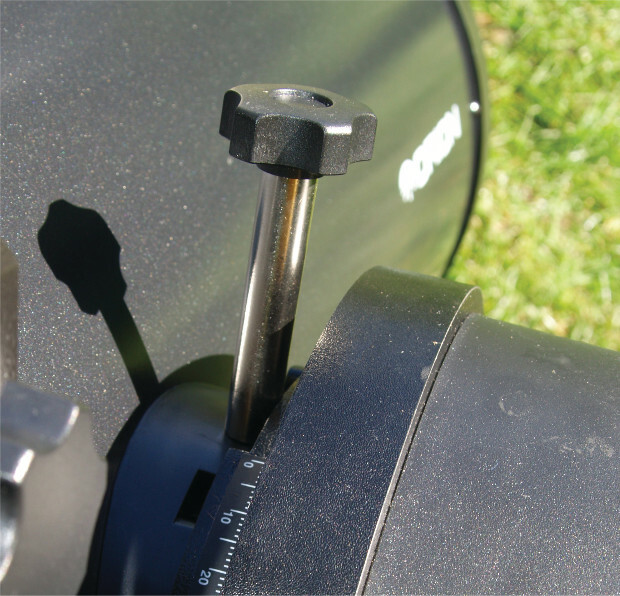 The primary mirror has a cover protection from the elements when not in use, yet the secondary mirror has no dust cap. I always find this common lapse totally bizarre, since its much smaller collecting area is (relatively speaking) far more valuable. The GOTO system is of the eminently respectable SynScan AZ type, with set-up modes affording auto-tracking and GOTO. On my first clear night, a short start-up session quizzed me on my co-ordinates and local time, after which I opted for the ‘two star’ align using Vega and Altair. Deploying the supplied 28mm (54×) eyepiece, I set the telescope to find the waxing gibbous Moon, creeping its lazy way low across the southern meridian. Absurdly, GOTO systems often have difficulty finding the Moon, perhaps because of its rapid motion relative to the celestial sphere. Yet the Orion XX12g pinioned it squarely in the eyepiece’s approximately one-degree field at its first aim. Very impressive. A gibbous Moon offers a deeply coruscated terminator full of craggy detail. Moving to the 12.5mm (150×) eyepiece, I drank from the inky elongated pools of the southern highland craters Schiller and Gassendi before using the SynScan hand controller to track north and gently sunward towards the Imbrium basin, settling finally on the crater Copernicus. Its floor and terraces were bathed by exquisitely angled sunlight and the observed resolution demanded a deep dive into the crater’s mouth. Looking down the mouth of the optics. The view with an 8mm Hyperion (188×) was spectacular. The ‘splat’ structure of the impact was so clear that you could easily imagine it had happened yesterday, ejecta nicely discriminated from the surrounding dark lava floor. The tightly configured optical system was yielding no scatter or flare that might impinge contrast. The night being superb, the detail provided by the 8mm suggested more might be had, so I replaced it with a 3.5mm eyepiece. The telescope dealt with this demand with alacrity. At 429×, the encircling terraced walls of Copernicus entirely commanded the visual field. The slumped material of the gentle inner crumbling slopes was sharply delineated, as were the much steeper rugged cliffs of the outer parapets. At the crater’s centre, the central peaks (two major, one minor) thrust their mountainous crests into the lunar sky. I have never enjoyed Copernicus in such high precision. Thank you, Orion. Making full use of the GOTO and slew functions, there was but a purr from the alt-az motors, a welcome change from the brash rattle of some drive systems. One minor annoyance was the otherwise excellent Crayford-style focuser, whose large tactile focus knobs are so positioned as to leave insufficient room for fingers to pass between them and the main tube. As further nights offered themselves, late autumn sessions gave prequel to winter’s familiar beacons. High in the east, the Pleiades offered a suitably starry field for the ‘Deepview’. Its 54× power showed many of its members, but the field of my own 56mm (27×) corralled them all. Transfixed against a very dark field, the lesser stars were so stunningly lifted out of the gloom by the telescope that the familiar ‘mini-dipper’ pattern of the major stars was almost lost. Overhead, Perseus’ double cluster offered a twin splash of scattered stars that filled the view; importantly, there was no discernible degradation of star images from centre to edge, save perhaps for some little evidence of the coma expected of this focal ratio. My corrector lens easily brought these peripheral sluggards into line. Autumn, however, brought a dearth of available planets with only distant Uranus and Neptune saving the sanity of planetary observers. The opposition of Uranus provided a unique opportunity for the XX12g to show its mettle, and so it did. Using a 10mm (150×) eyepiece, it provided a superb fulsome disc, a grey-green marble that seemed almost close enough to touch. Pushing my luck to a 5mm (300×) I had but a few moments of great seeing before our spinning Earth spun a tree between us. Thwarted, but undaunted, I progressed to Neptune. Although a fair stride eastwards, the motors gently ushered the tube to just the right place; impressive, despite my almost cursory placement of the Dobsonian on level ground. Having moments before observed its ‘twin’, the difference in appearance was stark. It revealed a relatively diminutive disc with its beautiful turquoise tint. The Orion SkyQuest XX12g uses a GOTO system of the SynScan AZ type with a database of 49,000 objects. 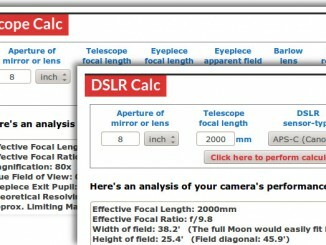 I have only one gripe with this excellent telescope – its weight. Somewhere in the bowels of the manual, it claims that the primary components should be just about ‘liftable’ by a fit person. The base weighs 40 kilograms (89 lbs) and the tube 21 kilograms (47 lbs). I will not claim to be fit, but nor am I infirm. I could lift the assembled base by its handles and stagger ungainly perhaps ten paces before needing a rest stop. The ‘centre of gravity’ positioned handles require an inadvisable lean-over lift position, and, after a few sessions my back left me in no doubt where this was going, perhaps even into hernia land. I cannot let the pun lie, that here there is another meaning for a truss telescope. I took to using a tarpaulin as a sledge that I leisurely hauled into position for each observing session. I would therefore consider it at the limit of being portable once assembled. Of course, countering that, it is exceedingly stable. I never experienced any vibration or shaking during use – except from my legs, post lift. Those considering this telescope may need to look at a Dobo-trolley to help out. This is an optically fine telescope, companioned with a very robust mount. I thoroughly enjoyed using its very able GOTO system, which never failed. I shall remember this telescope most for two wonderful observations; gazing into the maw of Copernicus, and cleaving the double star components of epsilon Lyrae so cleanly that they looked like a small open cluster. 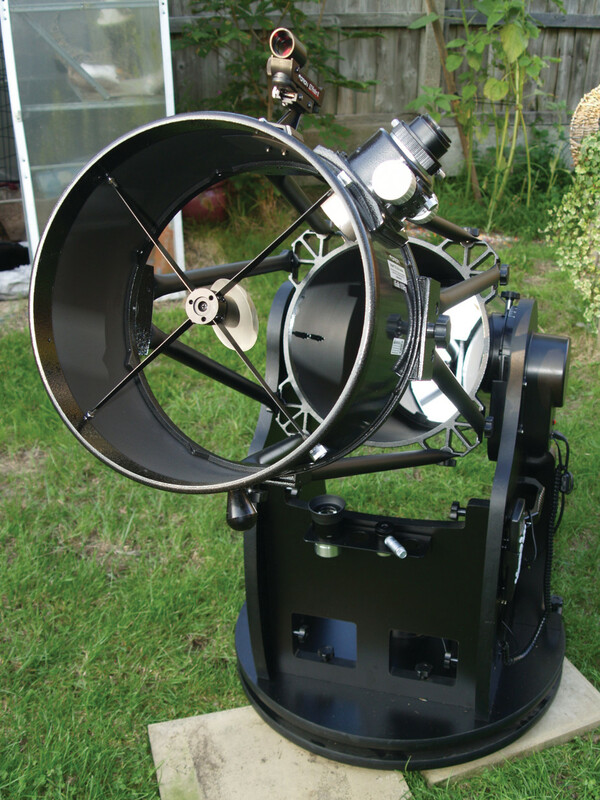 Steve Ringwood is Astronomy Now’s Equipment Consultant. While a vast body of space imagery lies just an internet click away, nothing compares to seeing an astronomical object in the eyepiece. But it is only natural that one should wish to capture such views with a camera. Steve Ringwood investigates Celestron’s ingenious Ultima Duo hybrid eyepieces intended to combine your visual and photographic needs in one package. 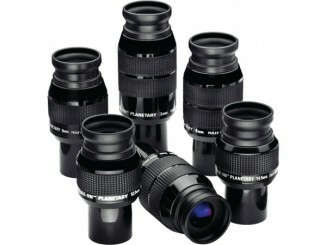 Steve Ringwood takes a look through a range of 1.25-inch seven-element eyepieces of a design optimised for high contrast, flat-field performance on the planets and likes what he sees.